Natural Stain Remover Reviews: Which Ones Work Best? 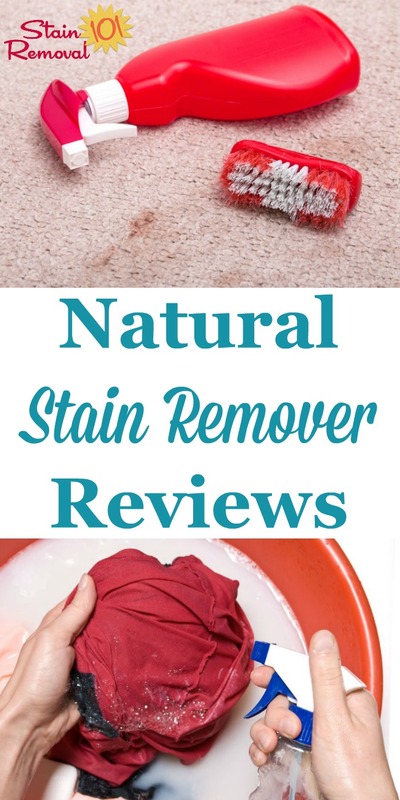 Here is a round up of natural stain remover reviews for all around your house, including laundry, carpet, and more, to identify which products are both eco-friendly and also effective. Please note that this page is devoted to removers which are green, environmentally friendly, and made with natural ingredients, some of which you can make in your home, and others you can buy in a store. If you are looking for particular stain remover recipes, however, check out the recipes submitted for homemade stain removal here. Everyone gets stains on their clothes, carpet, upholstery, walls, floors, etc. But many people today are concerned about all the man-made chemicals used in products designed to get those stains out. Therefore, more and more people are switching to use stain removers that contain only natural products, to help protect themselves and Mother Earth at the same time, along with getting out stains. As more and more of these products come on the market it can be hard to decide which ones will work best. Skip down here to submit your reviews for stain removers that use only natural ingredients, so we can learn which work best and which should stay on the store shelf. 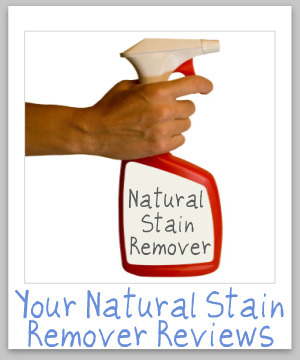 Have A Natural Stain Remover Review To Share? Have you used a great (or not so great) natural stain remover, and want to share your review of it here? 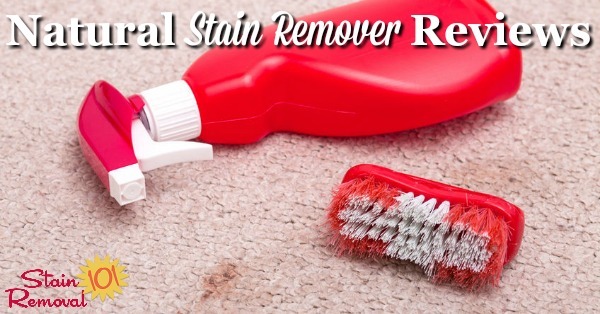 Please tell us all the appropriate information necessary for a complete review, including the name of the product used, what type of stain you attempted to remove with the stain remover, from what surface you tried to remove the stain, from your carpet with it, how it worked for you, and any other thoughts you might have about the natural stain remover. 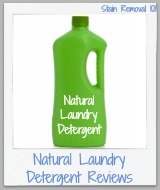 Click below to see natural stain remover reviews that have already been submitted.